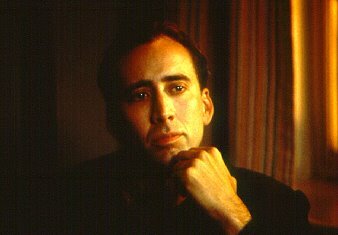 If Masonry had a patron saint in Hollywood, Nicolas Cage would be the guy. I’ll admit, there are a lot of actors who in the past fit the bill including the stalwarts like John Wayne, Audie Murphy, Ernest Borgnine, Clark Gable, or Roy Rogers. Some amongst that list have been more vocal and out front about their affiliation, which is, in the end a personal choice. No, I say patron saint to Masonry because Cage seems to have a track record of making movies in and around the subject matter that circles that of Freemasonry without any open connection to his affiliation with the fraternity. Think of it as a parallel line of thought, or of art imitating life. I don’t think the making of these films is to suggest that Cage or his producers are doing it intentionally. Hollywood films, as you’ve seen in the end of film credits, involve a lot of people with a degree of diversity from film to film. The common denominator in this scheme is types of roles played by Nicolas Cage himself. Is he doing it intentionally or is there some cosmic push that’s at work directing Cage towards these roles? This is just a quick list of films that, I think, could be argued as being pro-Masonic or at least positive towards Masonic tradition. Now these are just a few of the 60+ films he’s stared since his silver screen debut in 1980, but in these six films, you can get a sense of a recurring theme. National Treasure , released in 2004, we find Cage playing amateur historian and treasure hunter Benjamin Gates who after deciphering a secret code on the back of the U.S. constitution, stumbles on to the lost treasure of the Knights Templars, protected in modern times by the Freemasons, who we meet in agent Sandusky as played by Harvey Keitel. The Wicker Man , a remake of the film of the same name from 1973, has Cage playing Edward Malus, an American policeman who goes on the search for his missing daughter, when he inadvertently finds himself in the middle of an English Wiccan/Pagan Society to become the Burning Wickerman himself at the end. The link to Masonry, though less obvious in the film, is that modern Wiccan/Paganism was founded by Freemason Gerald Gardner who popularized its reemergence in the 1950’s. National Treasure 2 saw the return of Benjamin Gates on the trail of the Book of Secrets, which included mentions of the Scottish Rite’s Albert Pike, and the founding fathers. The pre-release advertising of the film leaned heavily on the Masonic connections of its predecessor, while this film itself focused on another “fraternity” the Knights of the Golden Circle. This films success has been successful enough to the talk of a National Treasure 3 in the future. In Knowing , Cage played Professor Jonathan “John” Koestler, Astrophysicists by day and numerologist (read here gematria, the Hebrew system of words and phrases assigned by their numerical value as seen in the study of Kabbalah) by night that discovers the secret coming end times by decoding the written number sequences found in a 50 year old school time capsule. Though less overt, the film plays up his ability to read the prophecy and down his ability to its inevitability. The Sorcerer’s Apprentice from 2010, while a remake of the animated Disney film of the same name, held true to this same series where Cage played Balthazar Blake, a sorcerer trained by Merlin who’s magic is more akin to Alchemy and the power of the mind, a theme prevalent in many Rosicrucian circles and similar to the idea of the Kybalion, that everything is mental – the power of the mind. A strong theme in the film links the ideas of magick to modern physics and the science behind energy. 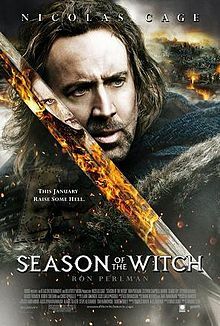 In the new film Season of the Witch, Cage plays Behman, a long standing (Templar?) Knight of the crusades who grows weary of the holy Catholic Church’s work in slaughtering innocent people, only to be pulled in to one last mission to save an innocent girl possessed by the spirit of a powerful demon. How to slay the demon and its ilk is a Latin reading of the “Wisdom of King Solomon”, a powerful spell that destroys witches and demons. Again, this is only 10% of his on screen time, but its not terribly hard to see a pattern here of Knights Templars, Freemasons, Magick/Alchemy/Kabbalah, and King Solomon each of which are keys components to the study of Freemasonry. Without a doubt, one could argue that just as much of his work is about quirky guys doing quirky things – from stealing cars in Gone in Sixty Seconds to stealing Diapers in Raising Arizona. But none of his filmography follows the same pattern of the six films listed above, and even fewer actors in Hollywood have the same resume of cinema choices that parallel such a recurring theme, unless their character is reprising a role in a sequel. Harrison Ford comes to mind in the Indiana Jones franchise, but here again he is playing a reprisal of a character, not a different character with a recurring thematic undercurrent. So how does all of this make Nicolas Cage the Silver Screen Saint of Freemasonry? Simply by continuing to play roles in films where he champions the ideas of the fraternity, even the more esoteric ideas, and by keeping it in a positive light. Will every viewer of these films see the connection? Probably not, but for those with eyes to see, with so many loose connections its hard to miss the underlying current. The other possibility is that Cage has simply been typecast as the ‘guy’ who plays these roles so successfully at the box office that he has become the go to man for the everyman cinema esoteric. Who knows, based on his resume, maybe we’ll see Cage in the role of Robert Langdon in the film adaptation of The Lost Symbol as its rumored that Tom Hanks may have scheduling conflicts. In the meantime, pop some popcorn and spend a few evenings watching Cage in these movies and see if you don’t see some connection deeper than a square and compass on a ring or on the bumper of a car as with most Masonic mentions in movies. You might just see him as a patron saint of Masonry too. Nicolas Cage, is one of the great actors in this day and time if he is enlighting us i will sit in front of one of his movies with a bag of pop-corn and pencil and paper any time. Moving Forward. I too, have noticed these connections: you might also want to add Nicolas Cage’s latest movie, “Drive Angry”–in which he plays a man who breaks out of hell after cultists murder his daughter and take her baby. Seriously–what the hell?! Not to mention the fact that Nicholas Cage bought a 9-foot pyramid to be placed in when he dies…these are more than mere speculations–his freemasonry connections are obvious, even to the most feeble-minded individual! If he’s not one, then he sure as hell ain’t that far off! After all, it is said people do not realize the dark side of Freemasonry, until they reach the 33rd degree! If there was nothing bad about Freemasonry, then there wouldn’t be “Ex-Masons for Jesus”. Case closed. Subliminals work, and we need to be mindfull of what kinds of media we surround ourselves with. Symbology is being used against us, to desensitize us to this crap. You can add the new animated film “Croods” to this list as well. The theme of the movie is to “follow the light” and “ride the sun”. An unintelligent family of cave dwellers is tempted and eventually led by “guy” (Lucifer) who brings them fire (light), brings them out of the cave (darkness) and gives them ideas (knowledge). The entire film is an obvious message to follow Lucifer and worship Osiris/Nimrod, which is the basic Freemason message. Certainly you meant to include Ghost Rider and Next as well. Omg. Seriously I can’t believe that there’s always some ridiculous satanic theme to every single movie nowadays. The croods wow! You all are crazy AF. Lmao!